I have the lucky privilege of calling some of the most brilliantly talented pet photographers in this industry dear friends. And these wonderful friends / rockstar pet photographers, decided to start a monthly blog ring in which we could challenge ourselves and showcase some of our most recent work. To start, let me tell you a little bit about my water shots. I’ve had very special plans that have been in the making for quite some time now. All those years ago, when I started my adventure into photography, I made a promise to the creative fire inside of me – and that promise was that I was never, ever going to settle – no matter what. It’s important to me to constantly innovate and change. To keep my head and my heart pointed firmly towards the stars – to keep working and pushing my boundaries – to constantly find my way to the precipice, that scary spot that rests quite frighteningly outside of my comfort zone. Last year, while working abroad – teaching the Zoomies Pet Photography workshop in Australia – I had the life changing opportunity to snorkel the Great Barrier Reef in northern Queensland. From the moment I stuck my head underneath that crystal blue water – I felt something inside me shift. There was MAGIC under that water. A whole world that I had never seen before. Colors and light dancing all around me. Corals and fish and tiny little lifeforms in splashes of brilliant neon swaying in the soft current. I was so overwhelmed with that fairytale landscape that I held my hands out before me to make sure that it was all real, and I felt a tear form in the corner of my eye. At that moment, I realized that a whole world of magic and inspiration had always been beneath me – sharing this beautiful earth — and I had never known of it before. It was in that moment that I fell in love with water – and with the endless landscapes beneath the surface that sit so quietly waiting to be discovered. It was that moment, and the days followed that I began to dream up ideas of mixing two of some of the most beautiful things that this earth has to offer – dogs and natural bodies of water. I researched and researched and researched underwater photography and underwater landscapes for endless hours. 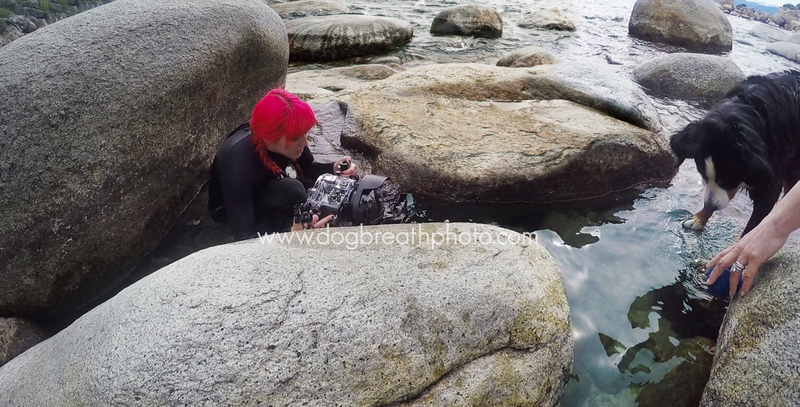 Finally, at the very beginning of this year – standing in that really scary spot that’s located boldly outside of my comfort zone – I had a custom underwater rig made for Dog Breath Photography. When we started our day, it was a bit overcast – with dramatic clouds swirling and dancing across the sky. 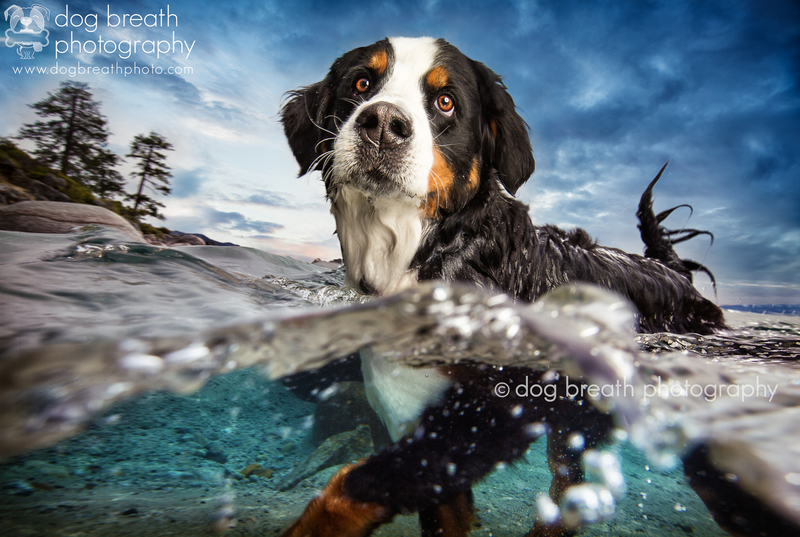 Miss Morgan the Bernese Mountain dog was up first and she swam happily through that crystal clear water in search of her favorite ball. As the day went on, the clouds started to move and change, letting little glints of sunbeams in here and there, as the sun passed behind the holes between the clouds. The color of the water reminded me of a turquoise stone – glittering, and sparkling underneath all that sunshine. As the afternoon went on – the water started to pick up a bit – small waves forming and crashing here and there against the shiny rocks. I took another snap as I reveled at the color of that crystal water. The moving water lent itself quite well to this image of gorgeous Maverick sitting happily atop this rock. I loved watching the rhythm and sway of the lake from this newfound perspective. Maverick was such a fabulously behaved little wiggler! 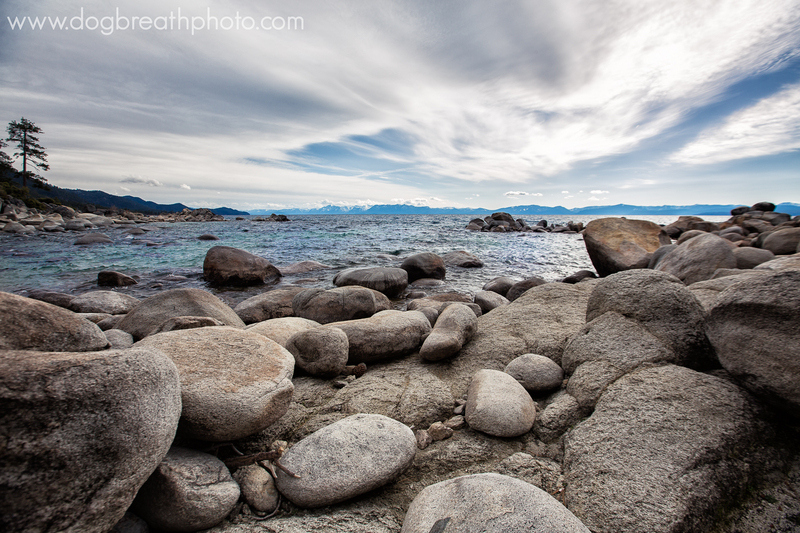 He wanted nothing more than to fling his body off of that rock and splash down into the water. Cause, you know…Labs… 🙂 Luckily for me, as a trained service and crisis response dog – he was meticulously well-behaved and sat patiently like a rockstar while he waited for me to click the perfect shot! 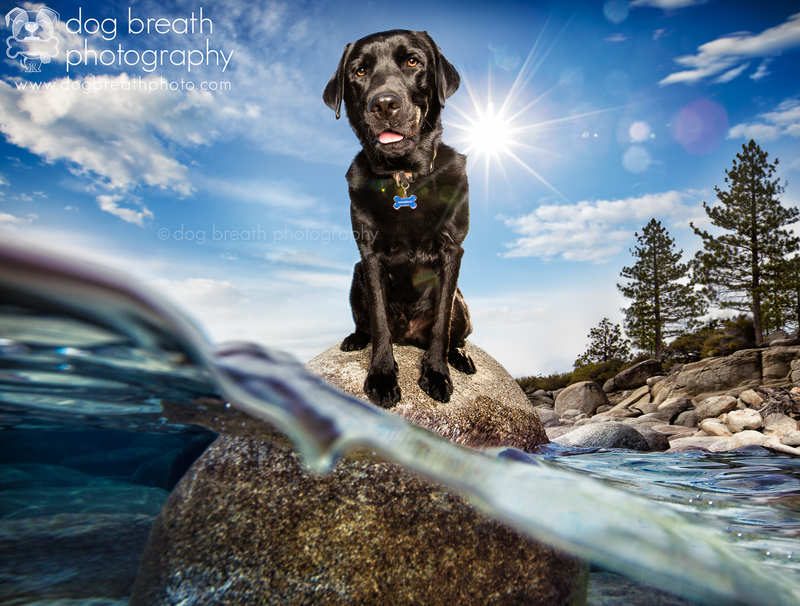 Now it’s time to click on over to discover what kind of water-themed magic the incredibly talented Holly Montgomery of Brindleberry Pet Photography has in store for us! Enjoy your trip around the ring! Maverick on his rock….is stunning!!! Beautiful work!!!!!! I love your work! Your photos are always so beautiful! Love your work. Will you be sharing your go pro movie of this shoot? If so where can we find it? Wow, that looks like a massive rig you are holding! I love being able to view the behind the scenes shots, thanks for sharing those!